Herbs can make a familiar dish new or lift an ordinary entrée to gourmet status. Their subtle magic transforms soups, stews, salads, breads and even desserts. With a bouquet of herbs or a scattering of herb flowers as a garnish, your food will look as wonderful as it tastes. 1. 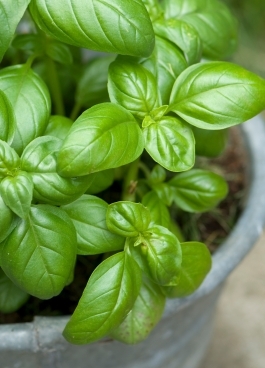 Basil – It’s warm, heady flavor lends itself to Italian or Mediterranean cooking, especially tomato dishes or with eggs, cheese or salads. Special tips: Pesto Sauce: blend 2 c. of fresh basil, ¼ c. of parmesan, ½ c. of olive oil, 3 tbs. of pine nuts or walnuts and 3 cloves of garlic minced. Use on pasta and vegetables. 2. Chives – The subtle onion flavor of chives is perfect in omelets, salads, soups, or on potatoes and other vegetables. 3. Dill – Used for pickling, dill is also wonderful in salads, sauces, soups or breads, on vegetables and fish. Special tips: Try pickling green beans, carrots, new potatoes or peppers with a bit of dill. 4. Marjoram – Like oregano but sweeter, this flavor is perfect in Mediterranean dishes, meats and vegetables. 5. Mint – The flavor of mint is refreshing, cool and sweet, especially good in iced drinks and teas, with lamb or in salad dressings. Special tips: Minty sun tea: Put 8 tea bags, ½ c. of fresh mint leaves and 1 gal. of water in clear glass jar. Set in sunny spot for several hours. Serve over ice. 6. 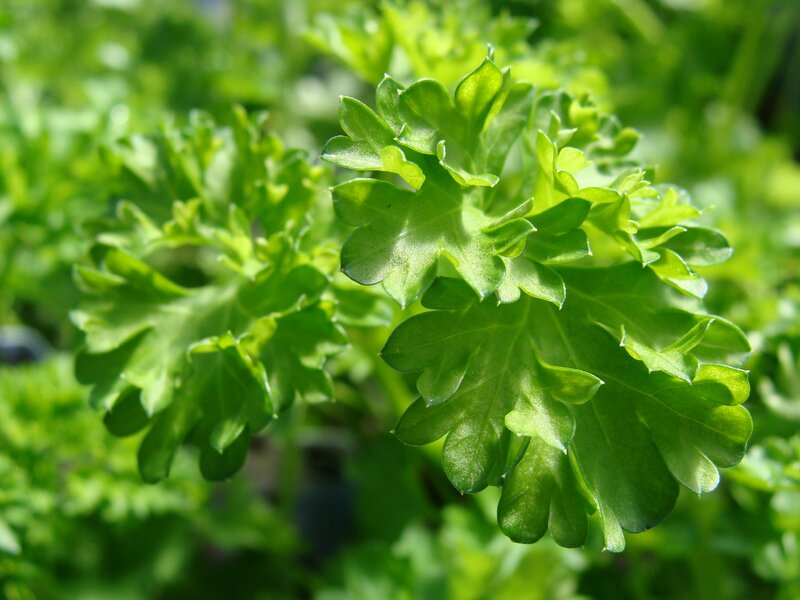 Parsley – For a clean sharp and peppery taste, add to vegetables and salads as a garnish. Include in sauces, soups, stews and stuffing. Special tips: Parsley is high in Vitamins A, C and B; Get rid of onion like odor by chewing on a fresh parsley sprig. 7. Sage – Warm, slightly bitter, this flavor is a must for turkey stuffing, as well as pork, duck and sausage seasoning. Special tips: Dried sage leaves are used as a substitute for coffee or tea. 8. Rosemary – The flavor of rosemary is bold and piney. Use it in pickles, jams, preserves and sauces, as well as meats and soups. Special tips: Use a branch of rosemary as a basting brush at your next barbeque, or put some on the coals for great aroma. 9. Tarragon – A spicy, sharp flavor with licorice and mint overtones, tarragon lends itself to French cooking, egg dishes, fish and salad dressing. Special tips: Tarragon vinegar: Pour a qt. of cold vinegar over ½ c. fresh tarragon leaves, cap and store for 4 weeks. 10. Thyme – A heavy, spicy flavor that is similar to cloves. Thyme is the perfect herb for poultry dishes and creamy soups. Special tips: Sauté a pinch of thyme in butter. Pour over chicken or cooked vegetables. 11. Lavender – The addition of culinary grade lavender in tiny amounts can jazz up dishes as diverse as grilled pork chops, to scones, cakes and even candy.